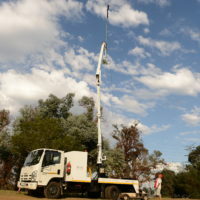 Smith Capital Equipment is a company resident and a ratepayer in Ekurhuleni, Gauteng Province but has presence in the whole of South Africa and some African Countries. 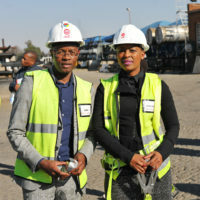 It touches the lives beyond those of its immediate stakeholder – the employees. 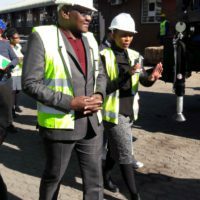 In this regard, Smith Capital has a social conscience in becoming a social partner and investing in social projects that are directed in positioning the business as a responsible social citizen. 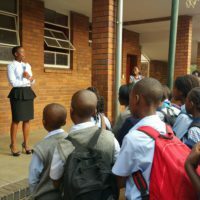 Smith Capital has been contributing financially to the local primary school – Leeuwpoort Primary since 2012. 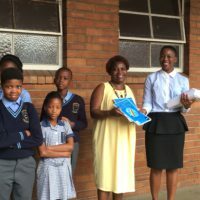 In 2016 Smith Capital donated printers and Mathematics Workbooks for Grade 4 and 5. 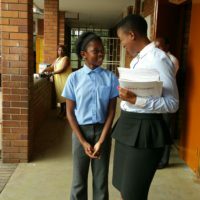 We have met with the school principal and are in the process of putting a proposal together of our planned involvement going forward. 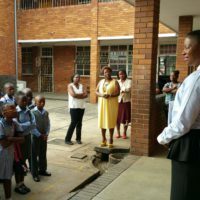 Fortunate Mdanda, our Chief Executive Officer handing Mathematics books to excited students. 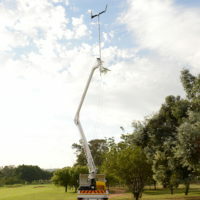 Smith Capital donated a Cherry Picker through the Ernie Els and Fancourt Foundation that was used to do television streaming of the prestigious SA Open golf tournament held at Glendower Golf Club in Ekurhuleni. 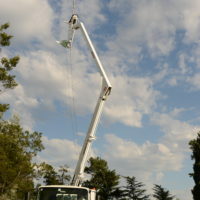 Our commitment is to make this an annual contribution to the tournament. 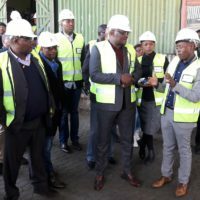 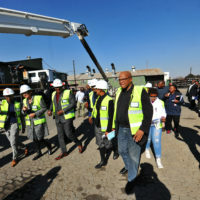 On the 15th of July 2015, Smith Capital as a Capital Equipment Manufacturers was honoured to be visited by the Gauteng Premier Mr David Makhura and his delegation as part of Ntirhisano Project to promote the local manufacturing. 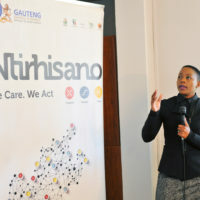 We have also revived the corporate image of the business thus created an impressive frontal view complementing that of our esteemed neighbour – Ekurhuleni Municipality Offices and thus uplifting the street.